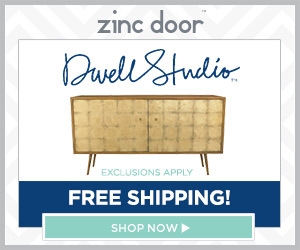 Relax in style and comfort with contemporary furniture at Zinc Door. Perhaps you’re searching for a new sofa/sectional, or maybe you simply need the perfect ottoman to complement your existing furniture. If that’s the case, don’t miss out on Zinc Door’s 15% off select upholstery sale with promo code SOFTSEAT valid through 9/15! Browse eye-catching chaises/daybeds, bar stools, benches, and other upholstered pieces to tie your room together! Looks like something I might be interested in, will check it out! Thanks! This place sounds amazing to look for a chair. I will have to take a look and see what they have! My Dad needs a new chair.